Posted in Video of the WeekLeave a Comment on PIPA (and SOPA) Break the Internet! Fridays are usually video game related articles. Today, I’m not talking about games themselves, but how the gaming console has become the entertainment hub in your livingroom. It’s a lengthy post, but I think it will prove to be of some value to most readers! The long and short of it is: I was having major problems streaming Netflix to any of my wireless consoles – PS3, 360, or Wii. But my desktop computer worked fine. I enabled WMM and the majority of my problems were solved. It’s not a one touch fix, by any means – there are a million potential reasons video would be buffering, even times when the service you’re streaming from won’t have adequate bandwidth, are caught throttling your connection, or are being investigated for generally poor speeds. There are times when your regional ISP may just be having technical issues. There are an abundance of issues that can arise at the dozens of hops between you and the media you’re watching or listening to. But, in optimal conditions, WMM is a feature that will help you. There are debates galore concerning not only the effectiveness, but the legitimacy of “Wi-Fi Multimedia™ (WMM®) WMM® Quality of Service.” People don’t know what it is, don’t understand it, or don’t think it really does anything. Well, it’s my opinion and experience that it does make a difference for streaming movies, it’s worth noting, however that some people prefer to have this feature disabled, and doing so they claim faster overall throughput (faster “file” downloads). Personally, when I have WMM enabled, I do not see my regular download speeds slowed at all, and I enjoy the added benefit of buffer-free streaming to my Wi-Fi devices. Therefore, I’m going to explain not only why I think you should enable, but how to enable it. Created by the Wi-Fi Alliance, a group of entities, including the manufacturers of wireless access points and networking hardware, WMM was designed to enhance the streaming of multimedia over wireless devices. From the technical side of things, despite drastic advancements in wireless technology, there will always be slightly higher latency in Wi-Fi devices than in wired connections. Trying to avoid all of the technical information, WMM allows traffic related to multi-media to take a higher priority, thus their packets get delivered first, meaning their “received!” packets will get back to the source sooner, meaning more packets will come your way sooner! “Net neutrality” goes out the Window… but only on your wireless network! In reality, if you enable WMM on your router, particularly in a home environment, it will not impact your other devices on the network, unless, say, you’re downloading and seeding a dozen torrents, streaming twenty movies, and making four VOIP calls at the same time! Services like Zune, Qriocity, Last.FM, YouTube, Netflix, and Vudu have capitalized on that, by making their software available on your home console. But do you ever have problems with your console, be it Xbox, PS3, Wii, or other Wi-Fi devices like your phone or tablet, buffering? If you try it on your wired computer or laptop or even on the same console, just wired directly to your router, you have no problem. But if you try to use Wi-Fi, whatever you’re watching or listening to simply keeps getting interrupted. It doesn’t make any sense: you know you have enough bandwidth, other devices work, why not this stupid console? Why is everyone enjoying Inside Xbox but you? I’m not positive about the others, but I do know that on a LinkSys, WMM is Disabled by default – which is why I wanted to share this tip with everyone, because it actually made a difference for me! Open up your web browser, and go to the address: 192.168.1.1 (if it is different from this, you’re probably advanced enough to know how to find it, because you most likely changed it yourself!). Enter your router’s password. If you’ve never set it, there are several potential default passwords. What’s the default password for my router? D-Link: username: admin / password: admin – in some cases, D-Link may have no name, or no password, or use user as the username. QoS. Click to the Quality of Service or QoS subtab. Scroll to the bottom of the page and change the drop down for WMM to Enabled. 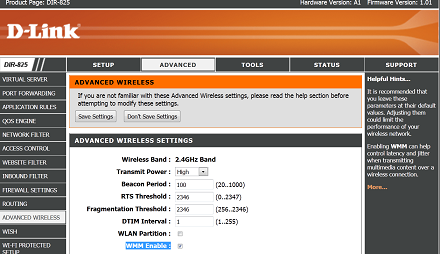 In a D-Link, you should go to the Advanced Tab, the Wireless Routing option on the left, then check the box to enable WMM. 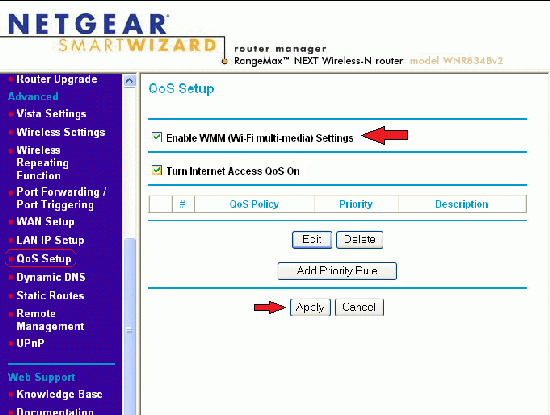 On a NetGear, look for the QoS Setup option, under the blue Advanced header on the left side of the page. Click on that, then check the box to Enable WMM and click the small Apply button at the bottom. *WHEW!! * Now that was an exhaustive post, but I hope it will get people thinking that they should give WMM a try, and help them ensure it’s enabled on their router! Posted in From the Help Desk, Gaming10 Comments on In my router, what is WMM and should I enable it? Hint: yes! Better Know a Gamer is back! Nominate a friend, now! So, the other day, I imported the WinBreak.com Better Know a Gamer archives. During this process I may have forgotten to disable my twitter updates which caused abut 30 articles to publish to my twitter and facebook streams in a matter of seconds. Sorry about that. But the good news is, you can read all about more gamers, and some of their best stories! Better Know a Gamer is back, and you can Nominate a Gamer whenever you want, even yourself! There’s no shame in it, some come on and get famous! Posted in Personal ThoughtsTagged NuAngel's NotesLeave a Comment on Better Know a Gamer is back! Nominate a friend, now! From friends, co-workers, clients, and acquaintances alike all want to know the same thing: “how do I know if my phone is being hacked?” or “does my phone have a virus?” or “can my phone get a virus?” The short answer is: while it’s possible, it most likely hasn’t happened to you. There have been “proof of conept” attacks, but not much has been seen “in the wild” so to speak, at least not in North America. The likelihood that you, some random person of no interest to anyone, have fallen victim to an attack on your mobile device is extremely unlikely. If you really think you have, your safest bet isn’t worrying about your phone, but changing passwords of your email accounts, facebok account, etc… But for the added level of comfort, I advise people to install an application called Lookout. Lookout is like AntiVirus for your phone. While there are other brands out there, they’re so busy trying to get you to buy the full version that they forget that there is a free competitor already out there. 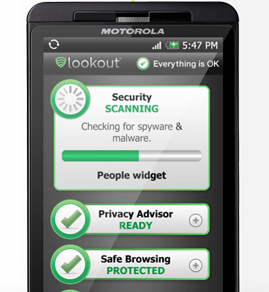 And Lookout isn’t just some wannabe trying to scare people about mobile security, they’re looking out for you. They helped Google identify some programs on the Chinese Android Market that were actually packing some nasty bugs (luckily, this doesn’t appear to have happened in the United States, so far). They’ve also been around the block – Lookout mobile once fully supported Windows Mobile. And even though some people still want to say that these guys are just fear mongering – what have they got to gain from it? Their base-product is FREE! Lookout has around 15 million users, and take their role as a leader in mobile security very seriously. It looks for those occasional rare mobile-phone viruses, but the basic membership also allows you to log in to their website and track your lost or stolen phone! You can even backup your data, such as contacts, photos, and even call history. Lost your phone and unable to find it with the “Find my Phone” feature? Your replacement phone can have your most important data reimported to it. 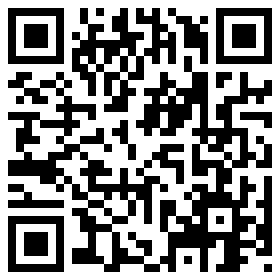 Premium upgrades are available, too, allowing users to get a more indepth analysis of what programs are on your phone. Really figure out which apps can read your email, listen to your phone calls, transmit your personal data back to their developers, or even track your location. Take your security back in to your own hands for as little as $29.99 a year, or $2.99 per month. You can even try a 2-week free trial of these features. Other features may vary depending on your platform, but they do have safe browsing to protect you on the web, and even protection while you’re using WiFi hotspots to make sure nobody else is browsing your phone’s files. The free product is incredible, and I have zero hesitation in suggesting that people install the app to their phone immediately. It can be downloaded from iTunes or Android Market. A limited release in 2009, and I believe a wider release in 2010, Abraham Inc. is the kind of band that you probably thought didn’t exist any more. More likely, maybe you thought something quite like this never existed. Blending jazz and funk musical stylings, traditional Jewish Klezmer, and even rap vocals brought down hard by Canadian rapper Socalled. Abraham Inc.’s Tweet-Tweet is a musical experience unlike any other, a side project of some of the best in their field collaborating on a sound uniquely their own. There’s no real market for a band like this, but that didn’t stop them from creating one. The album has something for everyone. Head over to their website, and give them a listen. Posted in Personal ThoughtsTagged NuAngel's NotesLeave a Comment on Coming (Back) Soon! Better Know a Gamer! In the world of gaming, more and more buzz is being generated around recent ‘hackings’ of people’s accounts. How some of it is happening is well beyond my capacity of understanding. I started hearing of “the FIFA Hack” a few weeks ago, with the story building up to one of the staff writers at Joystiq even being hacked. It doesn’t directly involve the use of FIFA, but an alarming number of those impacted are noting that FIFA Annual Game Passes are being purchased on their accounts. Most recently, a fellow Xbox Live Ambassador had her account compromised and a whole series of problems continued. You can read about the experiences that my fellow Ambassador, LadyElysium, had encountered on her website dedicated to the recent rash of hackings, HackedOnXbox. Susan Taylor does an excellent job of letting out her frustrations, while keeping her cool. So what can you do to protect yourself? The sad part is, I’m having a hard time figuring that out myself. I wanted to see what would happened if I tried to change my own password on Xbox.com. What was funny was that there were no social engineering questions I could use to ‘hack’ my way in to my account – the closest possible thing was resetting via email. The thing that concerns me there is the fact that I have TWO email accounts that it says it will send my password reset to – and considering I sign in to one of those two once every six months or so, I figured I should make sure it was not associated with my account. I can’t. 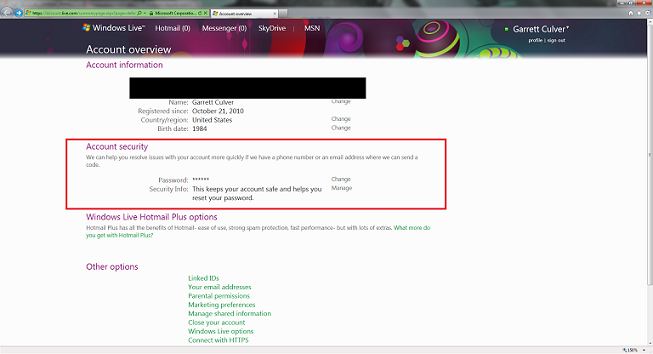 I can’t find anywhere on Xbox.com or Live.com to remove the second email address my password reset email would go to! Stay tuned on Sunday for what I hope to be a little more in depth list of steps you can take to to protect yourself, but for now the best thing I can suggest as a “STEP ONE” would be to remove any payment options you have on your account. I’ve NEVER given my credit card details to Microsoft, in any way. …That was, until recently. A limitation (see: hindrance) of the Windows Phone 7 platform is that they’re not letting you use Microsoft Points to make purchases – you must use a credit card. I wanted to buy one Xbox Live game for my phone – I had to enter my credit card details. Once the purchase went through, I IMMEDIATELY navigated to live.xbox.com, clicked on My Account, then Manage Payment Options, and REMOVED my registered credit card. I would advise you to remove a PayPal account, if you have one associated with your account, as well. Anything else I purchase, whether it’s Gold subscriptions or Xbox Live Arcade games, is all done WITH Microsoft Points which I purchase the prepaid cards for, at my local big box retailer. Detailed instructions are, as always, on Microsoft’s support site, and I hope to have more account tightening tips for you this weekend.